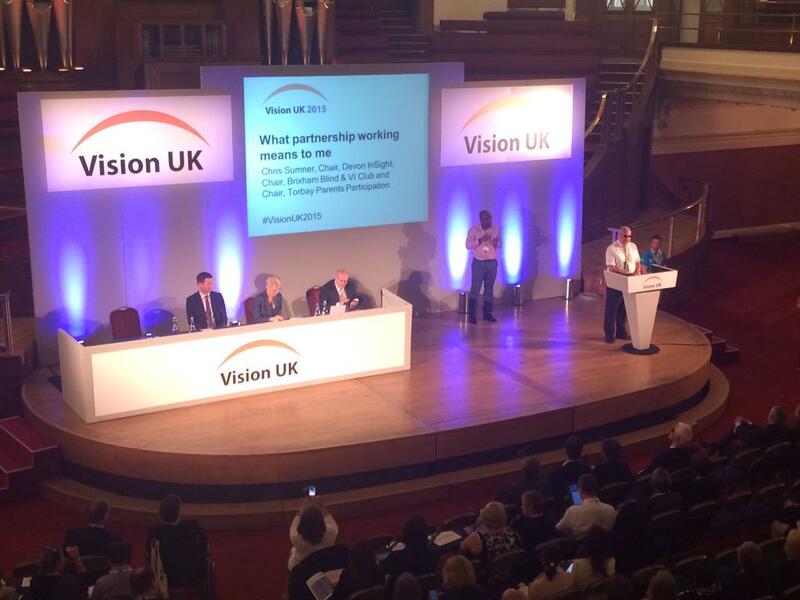 The Vision UK Ambition Statement is intended to refresh and update the UK Vision Strategy. It expresses an ambition to achieve greater priority for eye health and sight loss, driven by a new, re-energised and focused, partnership. Everyone looks after their sight. People’s eye conditions are identified early, treated and, where possible, cured. People obtain services which are person centred, joined-up and good quality. People with sight loss live the lives they choose. The Vision UK mission is to increase priority for eye health and sight loss amongst individuals, organisations and society at large. They will involve private, public and voluntary organisations to: improve the nation’s eye health; end preventable sight loss; join-up eye health and social care services; and promote an inclusive society for all. At Devon in Sight we are committed to helping achieve the objectives of the Vision UK Ambition Statement by providing a range of practical help and advice which improves people’s independence, wellbeing and choice.